8387 PEOPLE ARE ALREADY IN LINE - REGISTER YOUR SPOT TODAY! A REAL TOKEN FOR A REAL COMPANY. PrimeMyBody has an industry leading hemp oil, with $50 million in annual sales, 50K+ global Affiliates, and decades of industry experience. This token will set the standard in Affiliate Marketing! The $PMB Token Private Sale will be starting soon; get in line NOW! The $PMB Token Private Sale is exclusively for PMB Affiliates ONLY. Click the button above to learn more about PrimeMyBody, and its industry leading hemp- and plant-based products. Are you in line? If not, GET IN LINE NOW for the exclusive $PMB Token Private Sale! Watch the video below to learn how to be one of the first to purchase $PMB Tokens, and then visit the Getting Started Guide to ensure you are ready for the Private Sale. If you are not an Affiliate, scroll down to learn more about how this asset-backed token is one of the most practical token opportunities in the crypto space! PMB Affiliates deserve to be paid in rapid fashion. Affiliates who use the $PMB Token will be able to receive sales commissions in the fastest payment method possible, no matter where they’re located in the world. The $PMB Token is an Asset-Backed token that is supported by the real-world value of PrimeMyBody’s current and future products and services. The foundational value of the $PMB Token is its construction and development atop and reliance on the Ethereum Blockchain—arguably the top blockchain network in the world. 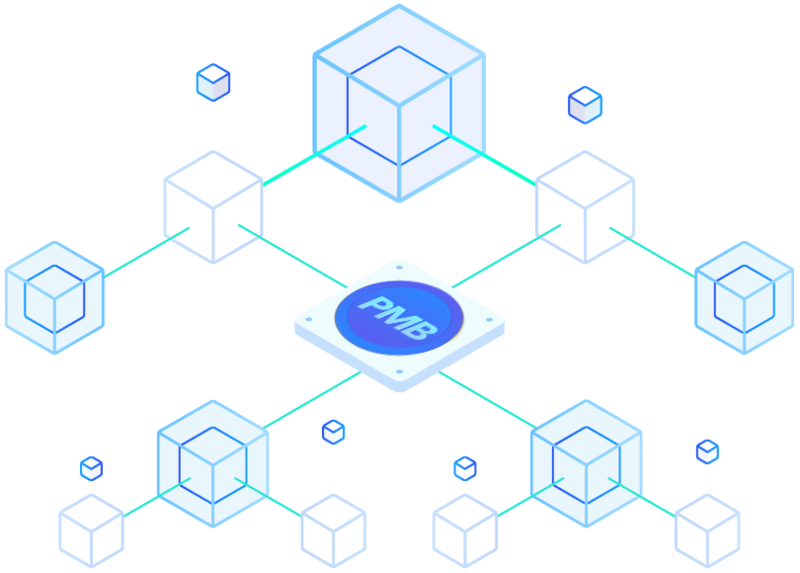 Developed as an ERC20 token, the $PMB Token follows the specific protocol and smart contracts standards and guidelines required for issuing tokens on the Ethereum Blockchain. The $PMB Token relies on the Ethereum Blockchain, but functions exclusively for PrimeMyBody’s specific solution-focused purposes. PrimeMyBody’s Nano-Enhanced Hemp Oil uses an advanced liposomal delivery system to increase bio-availability. This advanced technology delivers more hemp oil into the bloodstream at a faster rate than any other hemp oil formulation being marketed. This revolutionary formulation uses less phytocannabinoid diols by volume, yet delivers faster absorption and greater amounts of the healing properties of hemp oil. 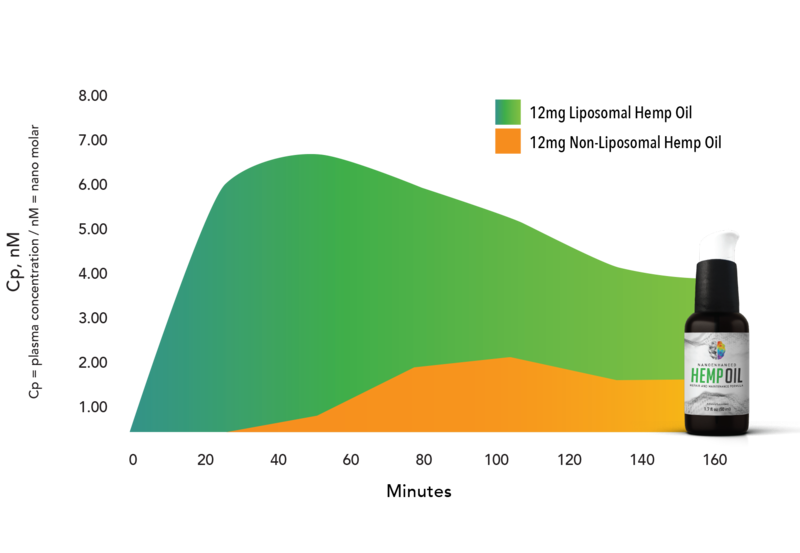 The graph depicts PrimeMyBody’s liposomal Nano-Enhanced Hemp Oil vs. a non-liposomal-delivered hemp oil. As displayed in the graph, PrimeMyBody’s Nano-Enhanced liposomal hemp oil significantly out performs the hemp oil that isn’t Nano-Enhanced or nano-emulsified. PrimeMyBody is a health and wellness company specializing in plant-based products—including our industry leading Nano-Enhanced Hemp Oil. As a company and community we are dedicated to building a global culture that is unified by the common thread that health, happiness, and well-being are the keys to positive change. PrimeMyBody has steadily grown as one of the top grossing hemp oil companies in the United States. Through rewarding business opportunities, PrimeMyBody has amassed over 50,000 Affiliates since 2015. Entering Q4 2018, PrimeMyBody will be bringing to Japan its world class nano-emulsified hemp oil and cutting-edge affiliate marketing opportunities. This expansion will mark the first of three countries that PrimeMyBody plans to enter outside of the US in 2018. With real world use-cases, the growth of the $PMB Token will help PrimeMyBody and Affiliate businesses to expand globally. The $PMB Token will be sold via a private token sale to all Active PrimeMyBody Affiliates. The Private Token Sale is not available to the general public. Purchase of $PMB Tokens during the $PMB Token Private Sale will be conducted on a “Progressive Purchase” basis. This means with each $PMB Token purchased, the price for the next $PMB Token purchased, whether by the same or a different purchaser, will increase fractionally. 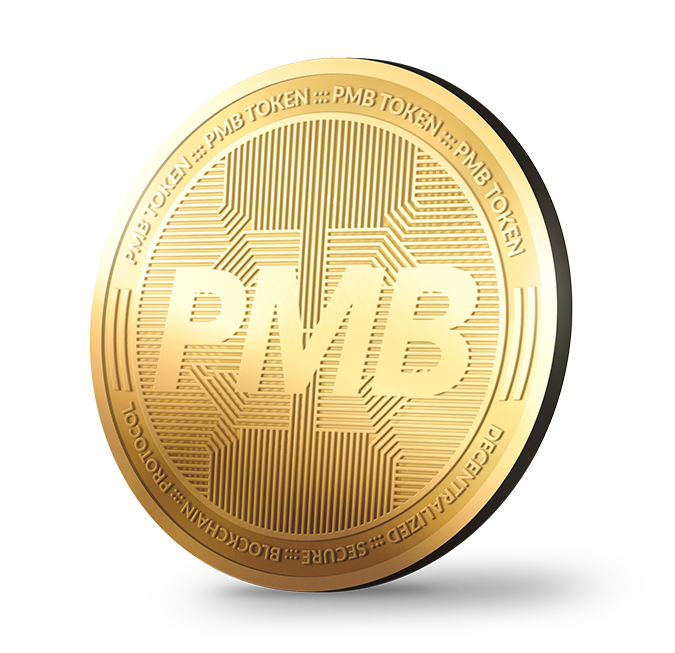 The initial value of the $PMB Token will be calculated and determined following the $PMB Token Private Sale. The initial value will be determined by the number of Ether received by PrimeMyBody during the private sale. The $PMB Token Sale has neither a hard or soft cap. The $PMB Token Sale will not conclude after a maximum amount of tokens are sold (hard cap) or minimum amount of tokens are sold (soft cap). Every registered Affiliate will have the opportunity to purchase $PMB Tokens regardless of their place in line. Upon the completion of the $PMB token sale, ALL tokens will be distributed to every participating Affiliates at the rate of exchange between the $PMB Token price and the price of Ether (ETH) at the time of purchase. The $PMB Token is a secure and user-friendly product purchase payment option, and will soon be the fastest commission payout option for Affiliates who chose to use $PMB Tokens. $PMB Tokens will be integrated into Affiliates’ replicated websites as a method of payment for PrimeMyBody products & services. Active Affiliates will have the ability to receive commission payments in the form of $PMB Tokens within 48 hours of sales. Reduction of third-party payment processor fees and processing issues. An increased value of $PMB Tokens will reduce future product costs and fees. Affiliates will have the opportunity to earn $PMB Tokens through the PMB Rewards Plan. The $PMB Token will open the company to advantageous partnerships with other enterprises in the health & wellness industry. The growth of $PMB Tokens enables greater international operational growth and scalability. 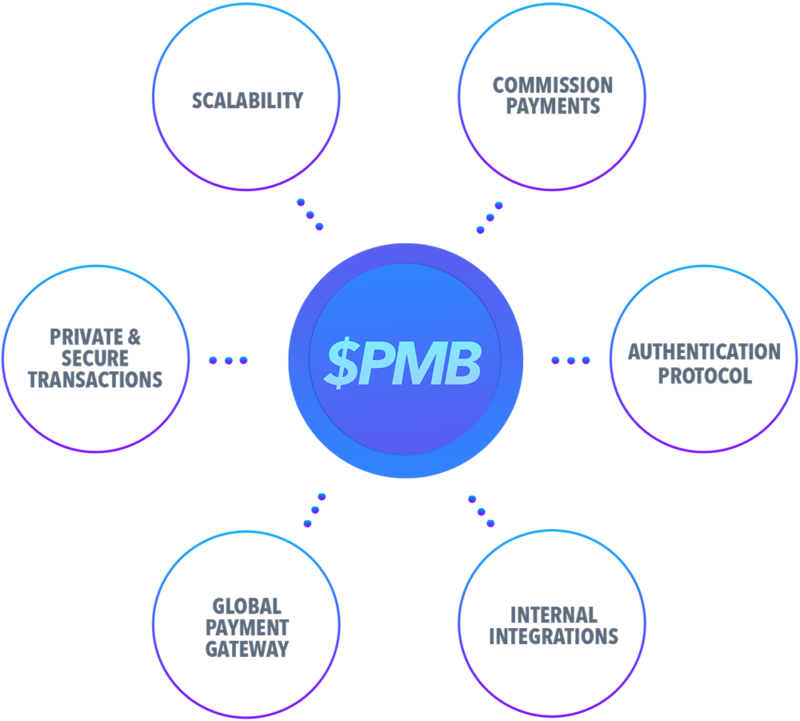 The security of the $PMB Token and the Company’s transaction processing and payment gateways are an essential company priority. $PMB Token integration into Affiliate back offices & checkout paths goes live. Click below to visit our FAQ page for more $PMB Token information. Then join our Crypto Team & get real-time news and updates about the $PMB Token, cryptocurrency industry, and hemp oil market on our Telegram channel. Join the conversation about Cryptocurrency and Hemp—two of the most talked about industries in business today! YOUR DATA WILL BE STRICTLY USED FOR THE PMB TOKEN SALE ONLY. Copyright © 2018, PrimeMyBody, LLC. All rights reserved. The $PMB Token White Paper, timeline and uses are subject to change without notice.